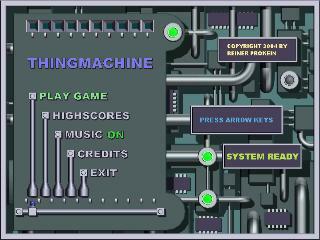 Thingmachine is a simple roundbased Puzzlegame. The goal ist to destroy as much samecoloured Blocks as possible at once. The higher the Level, the higher the points for this. The Thingmachine will deliver new Blocks in every round. So take care that the Thingmachine doesn’t fill. 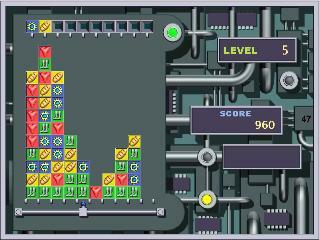 The game is controlled by the arrow buttons at the keyboard.